Athena Research and Innovation Centre (Athena RC) is a scientific research and technological organization, functioning under the auspices of the General Secretariat for Research and Technology (Ministry of Education). It comprises 3 research Institutes, namely, Institute for Language and Speech Processing (ILSP), dedicated to language technology research, development and innovation, Institute for the Management of Information Systems (IMIS), dedicated to data and information management, and Industrial Systems Institute (ISI) and 3 research and innovation units, namely, the Robot Perception and Interaction (RPI) Unit, the Space Programmes Unit (SPU) and the Technology Clusters Development Unit (Corallia). Athena RC will act as project co-ordinator and is primarily involved in the development of multimodal gesture and VR interaction with the virtual musical instrument and sound and music analysis algorithms to be integrated in the iMuSciCA STEAM learning environment. Athena RC leads WP1, contributes mainly to workpackages WP3, WP4, WP5 and also participates to WP6 and WP7. UC Limburg (UCLL) brings with its research unit Art of Teaching educational expertise to the project consortium on subject matter teaching. The centre has explicit expertise on science education, interdisciplinary education of STEM. The centre leads a professional learning community on STEM Education. It has performed numerous national and international projects. Some of them were already working on interdisciplinary education of music, the sciences as well as on the integration with technology. Ellinogermaniki Agogi (EA) is an educational organization of private law, officially recognized by the state. Established in 1995, the Research and Development Department of EA provides the test bed for research applications for the design, development and implementation of the research activities in education. The R&D Department acts therefore as an interface between the pedagogical research, the technological innovation and the school community. It focuses on the design, implementation and support of pedagogical and technological innovations in educational practice, both through internal research as well as through collaborations with numerous educational, research and commercial institutions in Europe and the world. EA is an institutional member of EDEN (European Distance Education Network), of STEDE (Science Teacher Education Development in Europe) and of ECSITE (European Network of Science Centres and Museums) network, as well as a partner school of the German Schools-Excellence Network. The fundamental principle of IRCAM is to encourage productive interaction among scientific research, technological developments, and contemporary music production. Since its establishment in 1977, this initiative has provided the foundation for the institute’s activities. One of the major issues is the importance of contributing to the renewal of musical expression through science and technology. Conversely, specific problems related to contemporary composition have led to innovative, theoretical, methodological, and applied advances in the sciences with ramifications far beyond the world of music. Focused on artistic production, in all its particularity and sensitivity, this highly original research dynamic addresses modes of representation and of extended manipulation of sound and music, thus eliciting scientific and technological applications that touch an increasingly wide-ranging public including sound and music professionals, industrial concerns, academics, music devotees, etc. Ircam is primarily involved in the development of the virtual musical instrument modeling and real-time sound synthesis algorithms to be integrated in the iMuSciCA STEAM learning environment. 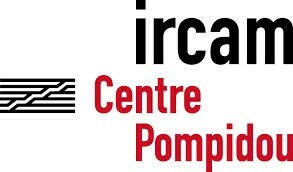 Ircam leads WP4, contributes mainly to workpackages WP5, and also participates to WP1, WP2, WP3, and WP7. Leopoly.com is the place where 21st century makers and newcomers from the fields of education can jump into the 3D printing and 3D design ecosystem, browse among thousands of digital objects and customize or create their own one within seconds. Located in the heart of the French Alps, this publisher is a global leader on the international marketplace for digital education, offering interactive educational materials for the learning and teaching of mathematics. Today, Cabri solutions continue to be designed, developed and marketed by the inventors of the first dynamic mathematics software. This software stems from the scientific results of the research laboratories Grenoble-Alpes University and the french National Science Research Center (CNRS). Both for tablets and computers, Cabri maths solutions have been deployed by more than twenty Ministries of Education. Cabri technology has been embedded in Texas Instruments calculators since 1992 and adopted by leading text-book publishers : Mc Graw Hill, Pearson, etc. WIRIS is a mathematical software company based in Barcelona, Spain. Our main goal is to offer advanced calculation and presentation tools for mathematics education with emphasis on Internet technology solutions. The company was founded by teachers and former students from the Technical University of Catalonia (Barcelona Tech). We are the responsible for WIRIS tools, a suite of tools for mathematics education. In the last years we have focused on the integration of WIRIS tools with web based platforms with special emphasis on LMS. Our current commercialized products are: WIRIS editor (HTML5 based equation editor), WIRIS hand (handwriting recognition tool for formulas), WIRIS quizzes (an API for assessment of math questionnaires) and WIRIS cas/calc (an online calculator, Computer Algebra System and graph engine). WIRIS leads WP3, the Sub-systems specifications and overall architecture work package, with substantial contribution in WP6 leading the pilot testing in schools in Belgium, and key involvement in the development of the iMuSciCA workbench (WP4 and WP5) giving their experience as an industrial partner specialized in digital education market for maths. The University of Fribourg (UNIFRI) was founded in 1889, is the only bilingual university of Switzerland and maintains a very international tradition. It stands for research and teaching at the highest level with the claim, always to put persons in the central point. The DIVA research group (Document, Image and Voice Analysis) belongs to the Department of Informatics of the University of Fribourg and is active in many research fields dealing with multimedia engineering and data analysis. Most research projects are focused around document analysis, recognition and engineering, speech analysis and processing, biometry, gesture recognition, emotion recognition and human machine interaction. The DIVA group of UNIFRI joins the consortium as an international key player in handwriting analysis and an international expert in multimodal human-computer interaction, gesture recognition, and mathematical expression recognition. Specialized experts on fundamental research in core enabling technologies contribute to the project together with experienced researchers who participated in previous European and national research projects. The group’s cutting-edge signal- and handwriting recognition technology significantly enhance the practicability of the iMuSciCA workbench. UNIFRI is preliminary involved in integrating and advancing core-enabling technologies, such as pen-interaction, gesture recognition, and wearables. UNIFRI with a strong experience in integrating and deploying web-based services and tools leads WP5, namely the development of the iMuSciCA workbench, i.e. the toolkits of the STEAM class that users will interact with the iMuSciCA. UNIFR mainly contributes to the work packages WP3 and WP4, and furthermore participates in setting up the technological environment for the pilots and the data analysis of their outcomes in WP6, as well as activities in WP7.